The first truly smart terminal. “Flip Phones” gave way to “Smartphones”; Credit/Debit terminals will give way to POYNT. Credit and Debit Card processing terminals are changing. 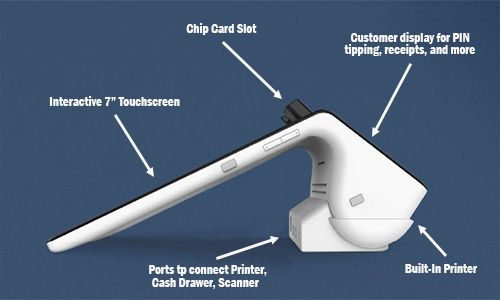 POYNT Smart terminal represents the new wave of credit card processing terminals. 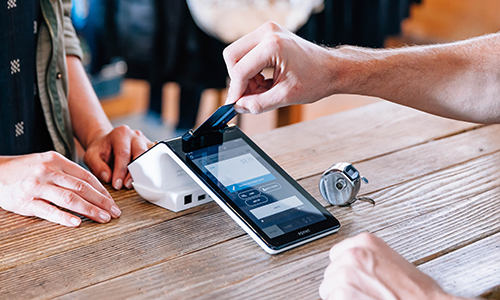 Unlike the traditional terminal that does only transaction processing, POYNT is capable of much more. 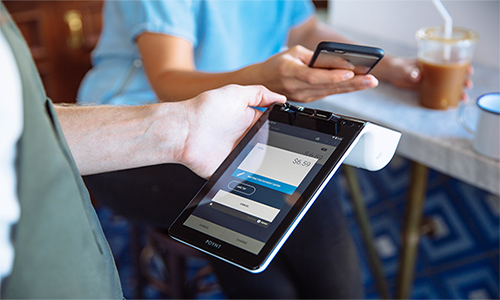 POYNT has been designed to integrate with other application such as QuickBooks; it can replace a cash register; it can allow multiple merchants to use one POYNT terminal. But what makes POYNT stand out is its ability to accept and run new synergistic applications that will be created and downloaded onto POYNT further increasing the capability and value proposition of the POYNT. With WiFi, POYNT allows for mobility to go to your customers at the table, on the patio or where ever your customer wants to pay. Accept all payment types – Credit & Debit cards even Cash; process all payment methods – card, ApplePay, AndroidPay, Google Wallet and all other (future) contactless payments. Bills can be split allowing for multiple people to make multiple payments. Ideal for restaurants. Up to 500 product SKU’s plus modifiers can be stored allowing for easy and error free ordering. 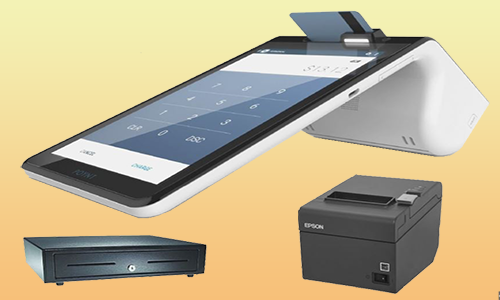 POYNT can also replace your cash register, by adding a cash drawer, bar code scanner and other peripheral devices you won’t need any other cash register. Download reporting application onto your Smartphone. Access detailed summaries and reports on sales, payments, etc. anytime and anywhere using your computer or your smartphone. Integrate daily sales accounting information directly to Quickbooks. New applications will be developed for the Poynt, as they become available you will be able to download them in the same way you download applications onto your smartphone today.